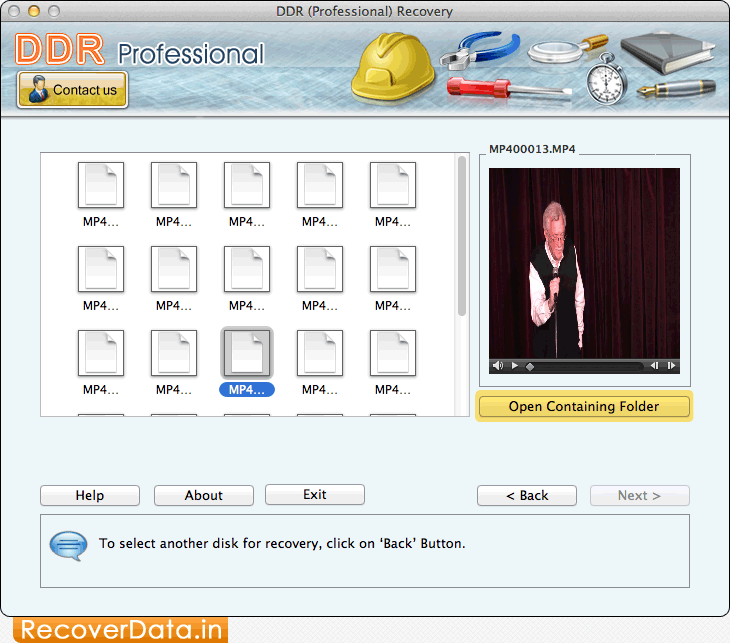 Select Recover Videos storage media to recover lost or deleted videos. 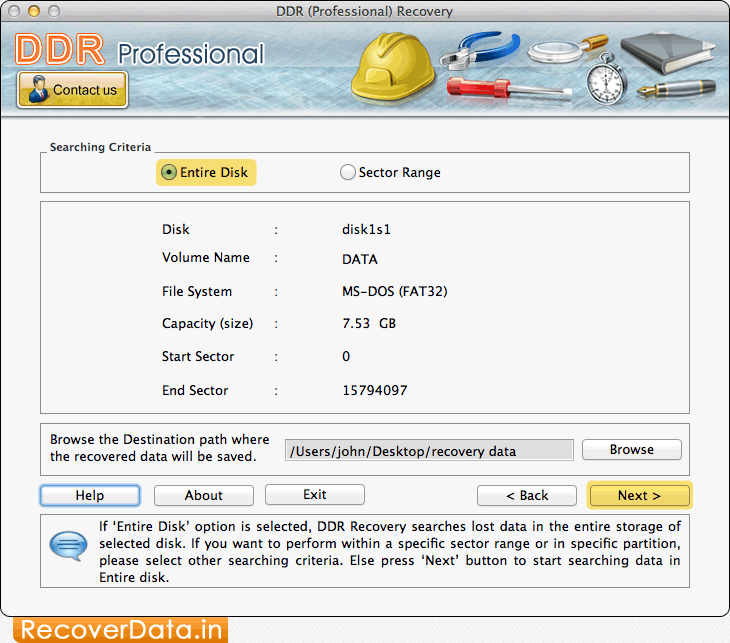 Select 'Entire Disk' option and then click on 'Next' button to recover lost data. 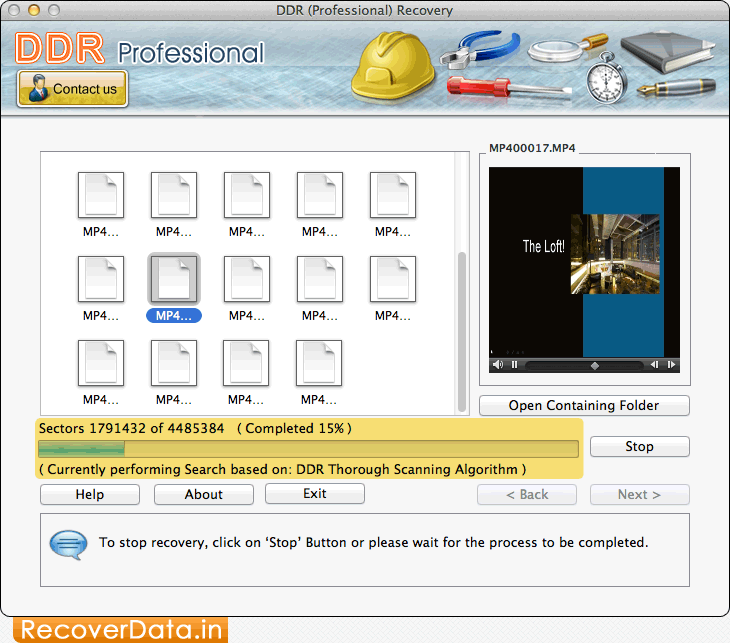 Select required extension type, then check "Also perform DDR Thorough Scanning Algorithm Search" and click on 'Next' button to proceed. 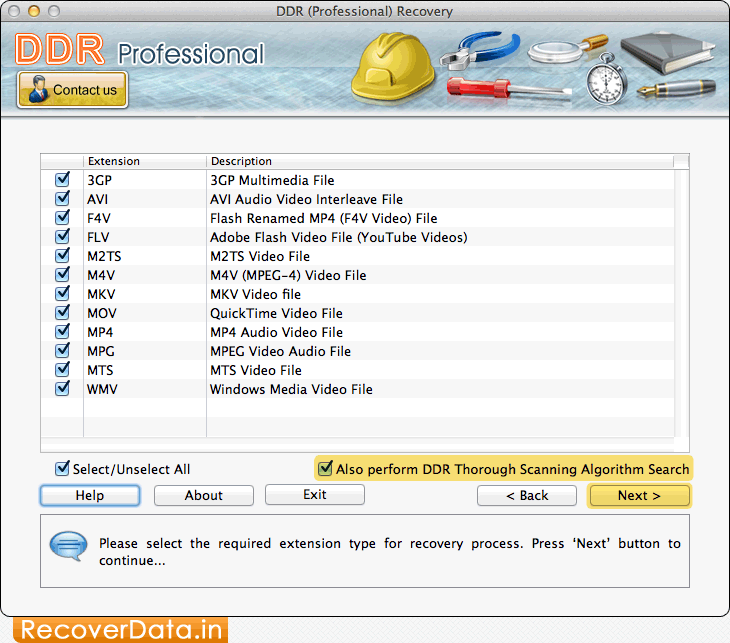 File Searching based on DDR Thorough Scanning Algorithm. 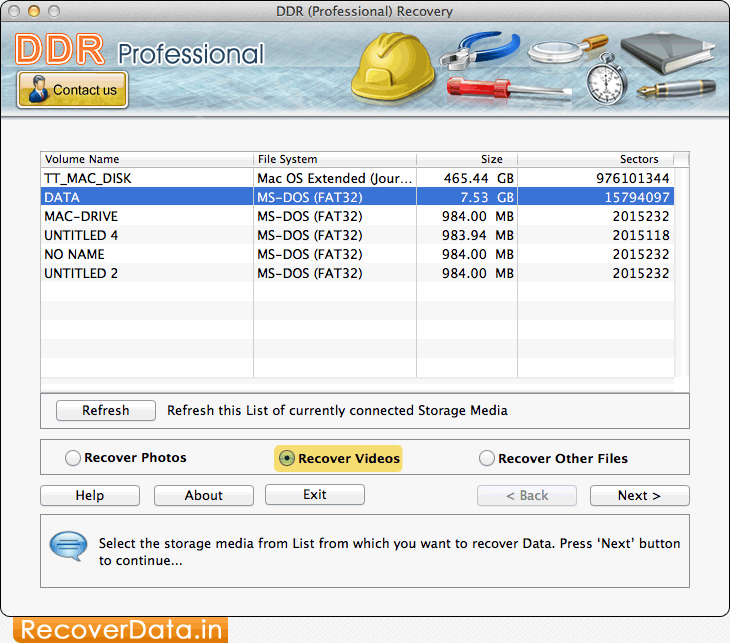 To view recovered data, click on Open Containing Folder.